Any relationship that you have in this world needs to have a solid foundation just like any building does or all they will do is crumble. Part of the solid foundation is learning to love them unconditionally without judging them. A lot of society says to not forgive and get revenge, but unconditional love, loves without conditions and it does not keep a record of the wrongdoings of the person that they love. Loving someone unconditionally in a relationship consists of being there for them emotionally, spiritually, mentally, and physically through the good times and the bad, no matter what happens is love that is unconditional. Being physically present for someone that you love is just that. You are there for them in person, right by their side. You listen to what they have to say, talk with them, and make sure that they are not alone. You are there for them whenever they need you any time of the day, whether it is the middle of the night or the middle of the day. When you are connected with someone emotionally, you support them by letting them share all of their feelings with you. Supporting a person emotionally with unconditional love also means that you help them process their feelings in a manner that shows them that you are more concerned with their needs and wishes instead of your own. You are their “shoulder to cry on” to help them through the times in their life. Supporting someone you love mentally means that you help them think their actions, desires, and motives. The way for you to do this is to find out what is going on inside of them. You also help them work through their thoughts to make the decision about what they should do. Supporting a person that you love spiritually means that you pray with them and for them. You help them grow mentally, spiritually, physically, and emotionally. Often spiritual support is given to a person without them knowing about it with you praying for them. 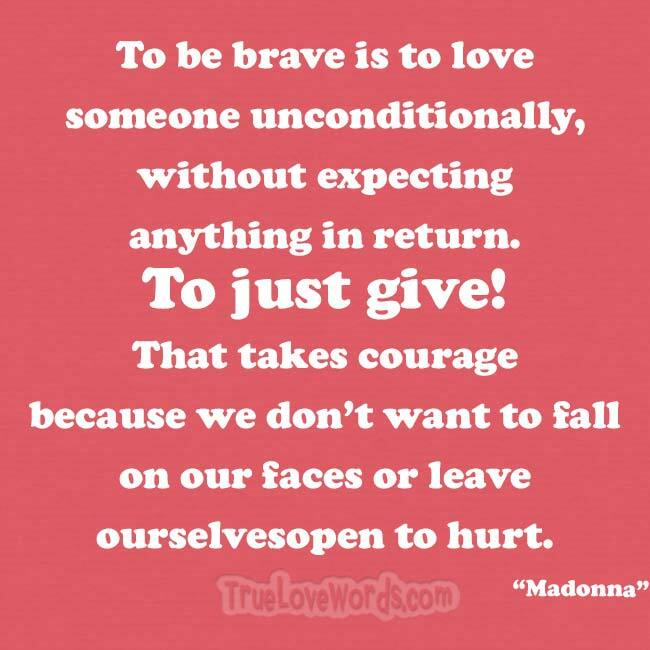 Loving someone unconditionally is when the people in love will do anything for the person that they love no matter what. A good example of this is the love that is unconditional that a mother has for her child. Loving someone unconditionally can be between a parent and a child, siblings, and even two lovers that have true love for each other. Does Unconditional Love Exist? Is it Possible? Unconditional love does exist and it is possible. Just look at nature, Dogs, cats and all animals love their families no matter what, even if they do not feed them. From the beginning, a parent’s love for their children is unconditional as well. A mother always thinks that their child is the most beautiful and wonderful child in the world. Parents are the first to forgive their child when they do something wrong. They love their child no matter how wealthy, good-looking, famous, or what their personality is like. They also will do anything for their child and do not expect anything from them in return.With these types of love in the world, loving someone unconditionally is very possible. What is The Difference Between Conditional Love and Loving Someone Unconditionally? When you love someone unconditionally, that means that you really love them. On the other hand, conditional love is just that. The other person has to meet certain conditions for you to love them. Examples of this are when a person looks or acts a certain way. If they do not, then that person will not love them. However, if you love someone unconditionally, then the person that you love in this fashion, do not have to live up to standards that cannot or don’t want to. Also, if you spend money on them, they do not feel that they owe you anything for you doing so. If you love someone unconditionally, then you will always love them no matter what. Before you love someone unconditionally, you have to first love yourself unconditionally. You also need to learn how to get and give love that is unconditional. If you do not feel loved unconditionally, something has to change. Before you can expect someone to love you unconditionally, you need to love them unconditionally. Unlike your parents, who love you, no matter what, your partner’s unconditional love does have certain conditions. To have a partner love you unconditionally, you need to be faithful to them, communicate with them, support, and love them. You are telling them that you respect and love them in the deepest and honorable way. Loving them unconditionally also means that you love them just the way they are and will not try to change them. This love is a bit different for parent and child love because even though your parents love you unconditionally, they will always do what they believe is best for you and suggest things for you to do because they have your best interests at heart.